‘Friendly Crime’. A term that I use to myself about murder mysteries that are not graphic and or full of disturbing suspense. They usually have good plots and aren’t going to worry me. Authors of this ‘genera’ include M. C. Beaton (Hamish MacBeth, very friendly, and good for reading in bed with flu), through to Dorothy L Sayers (Lord Peter Wimsey), and James Runcie – whose books are more literary. 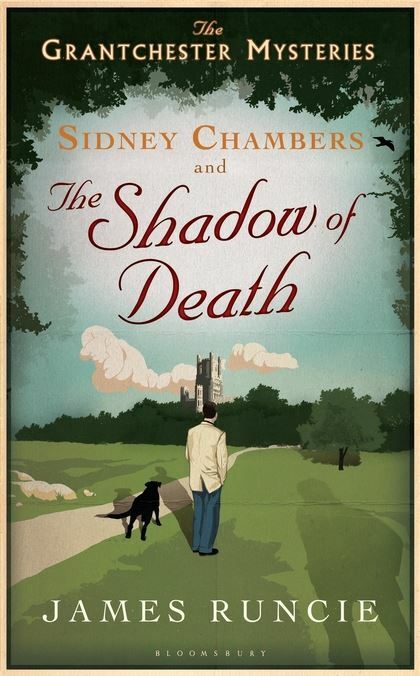 I was made aware of the James Runcie’s Grantchester books because of the television programmes & I was intrigued enough some time ago to purchase the first volume in the series. This was quickly followed by volume 2 and 3. There was a small delay whilst waiting for more, but yesterday, I found volume 4 & 5 on our shelves and these were quickly purchased. I enjoy the characters, and their relationships with one another, as much as the murder mystery. Somehow this type of crime, Friendly Crime, is almost comforting. Usually I don’t like to be disturbed by what I read. I don’t like gratuitous violence, particularly in graphic detail. I don’t like psychological suspense. I like my murderers to be clever, but my detectives to be more so, perhaps not in the traditional sense, but certainly to have an edge all their own. These remind me of GK Chesterton and his Father Brown stories. I would say that was my general view of crime novels, however, I also read Janet Evanovich, (Stephanie Plum, One for the Money) whose books are often violent, but they are tempered by humour and brilliant characters. They are not books I would suggest for non-adult readers. American, with a violent streak, but full of laughter, and character. I suppose the violence is sudden, quick and mixed well in with the humour etc. I know little of the hierarchy and ‘doings’ of ‘the’ church, so can’t state whether the Grantchester series are accurate in that way, however, they are ‘good’ books. A pleasure to enjoy, especially with tea,and a slice of fruit cake, somewhere warm and comfortable.